Fast becoming one New York City’s premier, must-see attractions, the One World Observatory is a wonder of design and engineering; a genuine crown jewel atop One World Trade Center. One World Observatory opened in early May, already drawing guests from across the globe to the tallest building in the Western Hemisphere (1,776 feet. ); The One World Observatory deck sits atop the 104-story skyscraper at the former site of the Twin Towers, featuring a thrilling 360-degree wall of 30-foot windows gifting us with breathtaking, panoramic views of New York City. Delight in iconic city sites, and surrounding waters, like the Brooklyn Bridge, the Empire State Building, and the Statue of Liberty, like you have never seen them before. TicketsatWork.com is excited to offer savings up to 15% for weekday admission tickets. Upon entry, guests are greeted in the Welcome Center, where a large cutting-edge video board displays a personalized greeting in their native language. Guests then proceed to a pre-show program, titled Voices of the Building that incorporates first-person accounts describing the rise of One World Trade Center, and Foundations, which depicts and symbolizes the very bedrock upon which it stands. Visitors then board one of five dedicated elevators, aka Sky Pods, to ascend to the very top of the building in under 60 seconds. The elevators, among the fastest in the world, feature three walls with floor-to-ceiling LED TVs, which use immersive technology to display the rise and growth of New York City that simulates the skyline’s development through the present day. The See Forever Theater presents a two-minute video presentation, combining bird’s-eye imagery, time-lapse shots, and abstract textures and patterns to bring the unique rhythm and pulse of New York City to dramatic life in three dimensions. The main observatory space on the 100th floor includes an interactive skyline “concierge” – City Pulse – that connects guests closer to the landmarks and neighborhoods they observe across the city. Using gesture recognition technology, the ambassador—with the simple wave of a hand—will draw up relevant facts and real-time information on a circular band of display screens in front of the windows. The 100th level also features the Sky Portal, where guests are invited to step onto a 14-foot-wide circular disc in the floor for an unforgettable view (in live HD) of the city streets below. Acrophobes, take note! The observatory also includes event spaces and restaurants ranging from quick, casual options to an expensive steakhouse. There is also the Gallery at One World featuring souvenir gift items for all ages. There is a lot to experience at One World Observatory. It’s easy to see why this amazing attraction is drawing so many people to NYC to marvel at the architecture of the building, engage with the interactive activities, and experience the awe-inspiring views of the city. Simply put: a visit to the One World Observatory is an outstanding must-experience for the whole family. Open seven (7) days a week. Regular Hours – September 8, 2015 – May 5, 2016 – 9am until 8pm (last ticket sold at 7:15pm). Open seven (7) days a week. The Epcot International Food & Wine Festival begins its 20th year at Walt Disney World in Orlando, Florida, today! Set to run until Nov. 16, the acclaimed festival presents attendees a wealth of amazing food, wine, and fun events: tastings, parties, concerts, family-friendly events, book-signings, seminars and demonstrations, along with the Artistry of Wine & Cheese area, with a cheese studio and wine studio; a Next Eats area with a Sustainable Chew marketplace; and the Chew Lab, where food science meets culinary tech trends. This is some serious eatin’ and drinkin’ about to commence: 400 culinary food and beverage demos, more than 60 wineries and 40 breweries from around the world, and to help dance off all that delicious cuisine, there are music concerts galore throughout the 53-day festival. TicketsatWork.com is stop #1 for anyone getting ready to enjoy the Epcot Food & Wine Festival over the next few months. 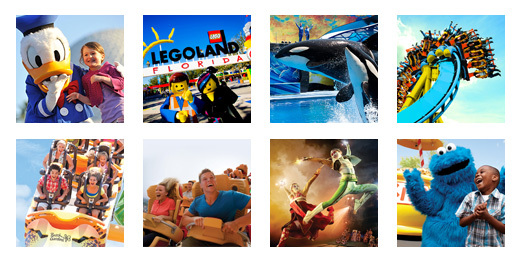 We are featuring great deals on passes to Walt Disney World: Three and four-day ‘Magic Your Way’ ticket packages that feature a variety of great options like extra park days free. Choose the Park Hopper option. With so much to see and do, you’ll love the ability to come and go from theme park to theme park on the same day. Eat to the Beat Concert Series – For music fans (who also like to partake in fine food and wine!) this concert series is a definite highlight of the entire festival. The lineup for 2015’s “Eat to the Beat” concert series is nothing short of awesome, featuring the likes of Wilson Phillips, Christopher Cross, The Pointer Sisters, Rick Springfield, (personal favorite) Air Supply and Chaka Khan, who closes out the multi-week concert series in November.Check below for the complete schedule of performers and show dates. Cheese Studio – A cheese sample platter will be served on an artist’s palette to pair with wines. The Wine Studio will serve premium wines on tap and showcase palate-pleasing wine varietals organized by color in artful displays. Next Eats – Situated near the Epcot Character Spot, Sustainable Chew and Chew Lab marketplaces will be inspired by ABC’s Emmy-Award winning lifestyle series “The Chew,” starring co-hosts Mario Batali, Michael Symon, Carla Hall, Clinton Kelly and Daphne Oz. “The Chew” announced that the show will broadcast from Epcot during the festival. The Rockin’ Burger Block Party – Set for October 8, this party features specialty burgers and sliders inspired by top names in the music industry such as Dave Matthews and his Dreaming Tree Wines and Carlos Santana’s Casa Noble Tequila. A DJ will also be playing music while you enjoy the food and drinks. At the end of the night guests can vote for their favorite selections. Two additional Burger Block Parties are set for Sept. 25 and Nov. 6. To call the Epcot Food & Wine Festival a Foodie Paradise is an understatement! This is a truly epic event. It’s 53-days of food, wine, music, and fun! 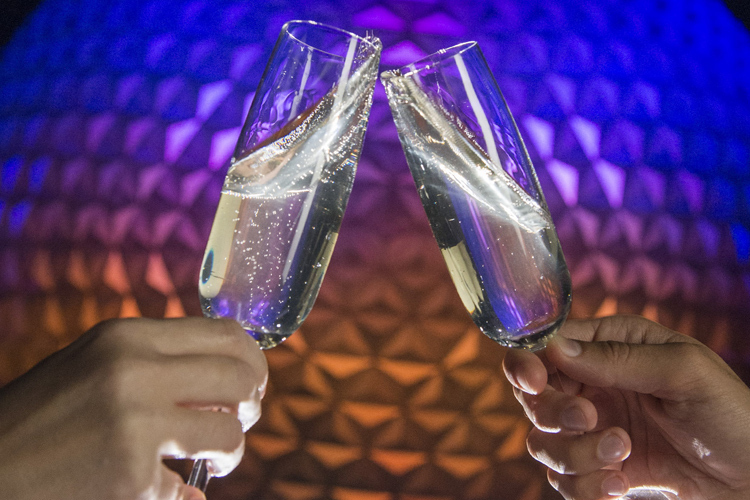 Embark on a culinary adventure celebrating 20 years of culture and cuisine with the finest wine and beverage offerings at the Epcot Food & Wine Festival. New York City is a Mecca for food. From pricey haute cuisine to cheap and delectable eats, New York City always has something cookin’ to delight your culinary senses. It just so happens that TicketsatWork.com features its very own tasty menu of food-related tours and attractions in NYC, each served with a delicious side of big savings. A Slice of Brooklyn Pizza Tour: Embark on a 4 ½-hour audio & visual bus tour that explores the history, landmarks, famous movie locations and points of interest in Brooklyn. Save up to 20% on tickets at TicketsatWork.com! Stay on the Las Vegas Strip long enough and you’re sure to find yourself in one sort of mind-bending situation or another. But the kind of mental madness we’re talking about today is more theatrical; specifically, a trio of exciting shows currently playing in Las Vegas that blend magic, mystery and humor into a memorable evening of fun – leaving you shaking your head in amazement. Paranormal: The Mindreading – Over at Bally’s Las Vegas, inside the Windows Showroom, Frederic Da Silva continues to wow audiences with the power of his mind. Experience an afternoon of mystery, magic, hypnosis and mind reading that will leave you astonished and amazed. Made famous internationally on European television, Frederic Da Silva brings his been a big hit on the Vegas Strip since opening his production of Paranormal. Voted Best Mentalist in Europe, Frederic Da Silva has the ability to predict what you are hiding in your pocket, stop a watch at the time that you secretly visualized, or even figure out the name of the person you are thinking about. How does he do it? Good question! But it’s that kind of mind-twisting performance you should definitely see while in Las Vegas. The Mentalist LIVE – Playing at the V Theater, inside the Planet Hollywood Hotel and Casino, Gerry McCambridge delights fans with his self-invented character of The Mentalist, dazzling audiences with his magic, comedy and wild mind tricks.